Portland has, seemingly, all the vegan food in the world. And I've eaten it all. Here's another place I highly recommend checking out for delicious and affordable authentic Mexican eats. This articlehas advertisement / affiliate links. See disclosure for more. 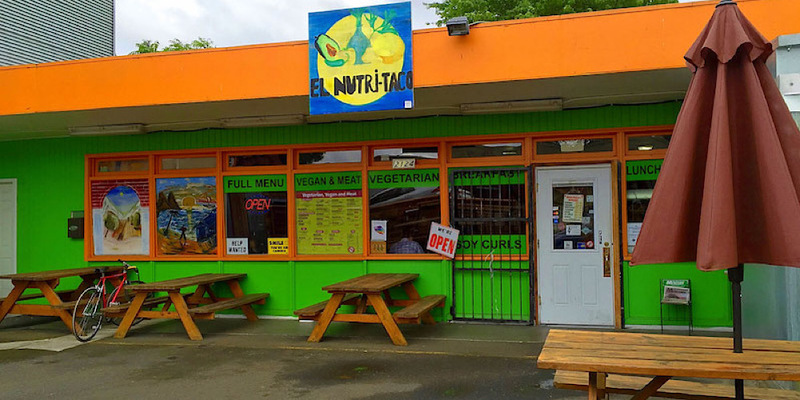 El Nutri Taco is one of my favorite restaurants. Because of two things. One, it's really good Mexican food. And two, really good VEGAN Mexican food. Which, as it turns out, is pretty darn rare. 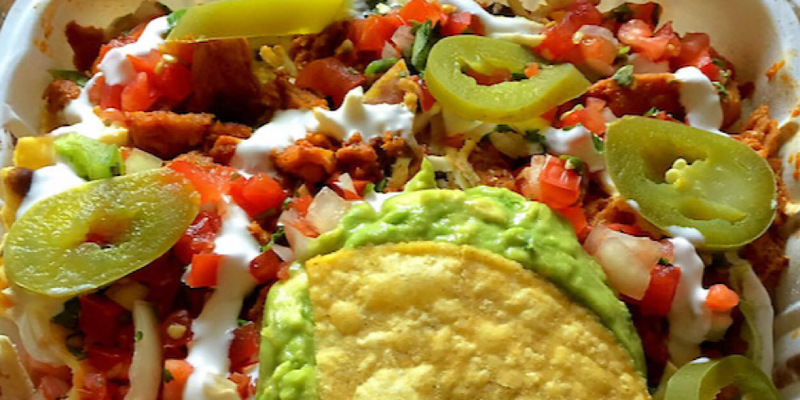 You can easily find Mexican food but you can't easily find Mexican food with vegan meat and dairy substitutions. No more eating the same 5 ingredients arranged in different ways and constantly missing out on all the meats, cheeses and sour creams! No longer, I say! They have a huge menu, with food for omnis, veggies and vegans alike, using all 100% natural ingredients. 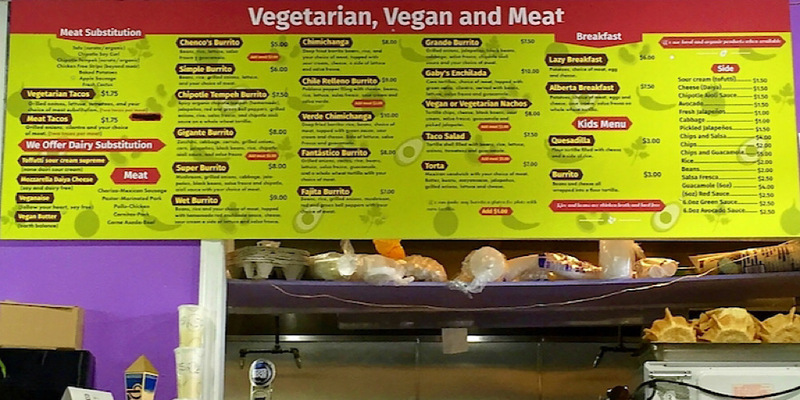 And their vegan offerings include things like fresh cactus, organic tofu, chipotle soy curls, chipotle tempeh, chicken-free strips, vegan sour cream, vegan butter, vegan cheese, and vegan mayonnaise! So you can get delicious monster burritos, chimichangas, enchiladas, tortas, tacos, taco salads, nachos and more, and enjoy them with tasty soy curls and cheese and sour cream! Everything they make is really good, so good that I get so excited I forget to take photos and just eat it. (Gasp!) But I did snap these pretty colorful nachos right here. Look at all that deliciousness. Yum. Go check out El Nutri Taco's locations in the NE on Alberta and in the SE on Woodstock.